Luxury new development of 24 two and three bedroom apartments. Pool, gym, landscaped gardens and garage. All en-suite bedrooms, private roof terrace or garden, plus option for Jacuzzi. The project has been a long time in the planning and will be worth the wait - but don't delay, reserve your apartment now, we expect them all to sell swiftly. The development consists of just 24 apartments built over two floors. Each ground floor apartment will have a private garden area and the first floor apartments will have a private roof terrace with views of Lagos Bay. All apartments will have their own terrace, designated parking and an option for a Jacuzzi. 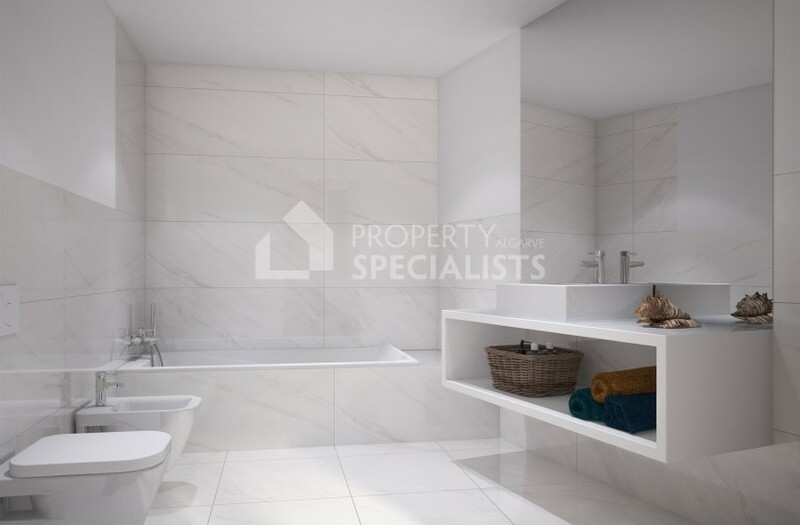 All of these luxurious apartments will have a modern design with open plan kitchen and lounge area, a spacious terrace overlooking the pool, en-suite bedrooms plus a guest w.c. The presentation and quality of the finish to each and every apartment is of equal importance to this developer and will ensure a comfortable living space - each apartment for example will have fitted white goods and Silestone work surfaces in the kitchen, electric underfloor heating in the bathrooms, air conditioning, hidden exterior laundry area and quality fitted wardrobes. 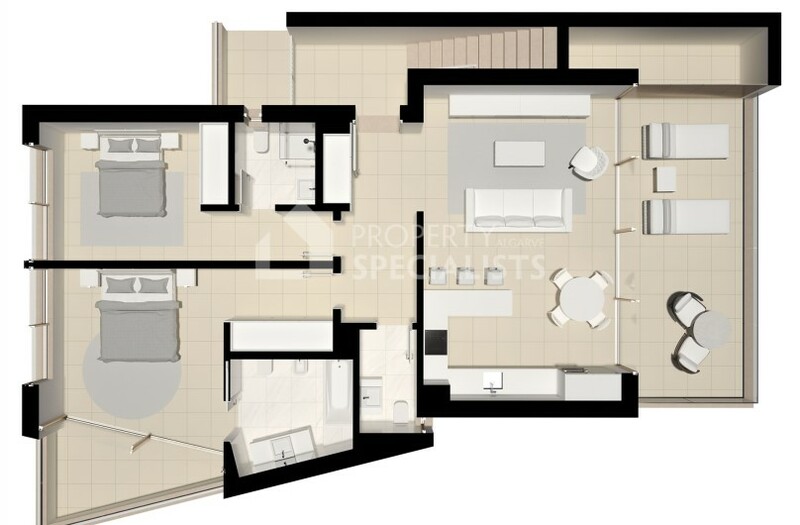 You can choose 2 bedroom apartments on the ground or first floor and they range in size from a spacious 184 sq.m. to 412 sq.m. including terraces or verandas and either a garden area or roof terrace. Prices range from €400,000 to €430,000. 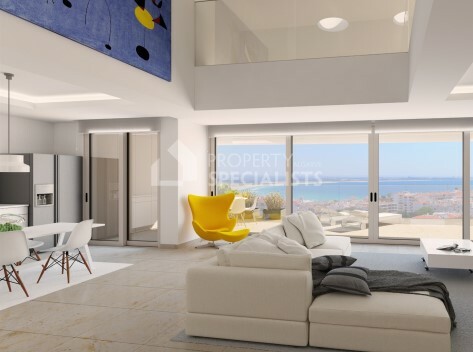 To further enhance the desirability of this stunning development, it is located in a prime area of Lagos with 4 beaches all within walking distance, or at most a very short drive; at Porto de Mos, Camilo, Dona Ana and Meia Praia. 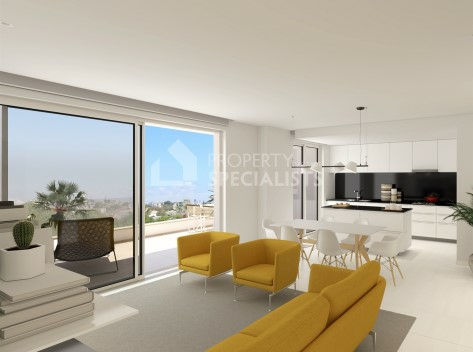 It is walking distance to the town centre and marina, located in an established residential area, with easy access to the A22 motorway & Faro Airport in just 45 minutes. For the golf lovers there are some fabulous course choices, from Boa Vista just 5 minutes away, the famous Onyria Palmares Course, Espiche Golf with its fantastic restaurant and bar, Santo Antonio said to have the best clubhouse atmosphere, or Pestana Alto course and Penina Golf between Lagos and Portimao. Plus the added bonus of a driving range at the nearby 5 star Cascade Resort. Please note: Some plans may be subject to change during the construction process. For further information on the 3 bedroom properties please see PSA1164 . Last remaining of these luxury high end 3 bedroom apartments with rooftop sun-terrace and heated pool. Located between Lagos town centre and Porto de Mos beach. Private parking. 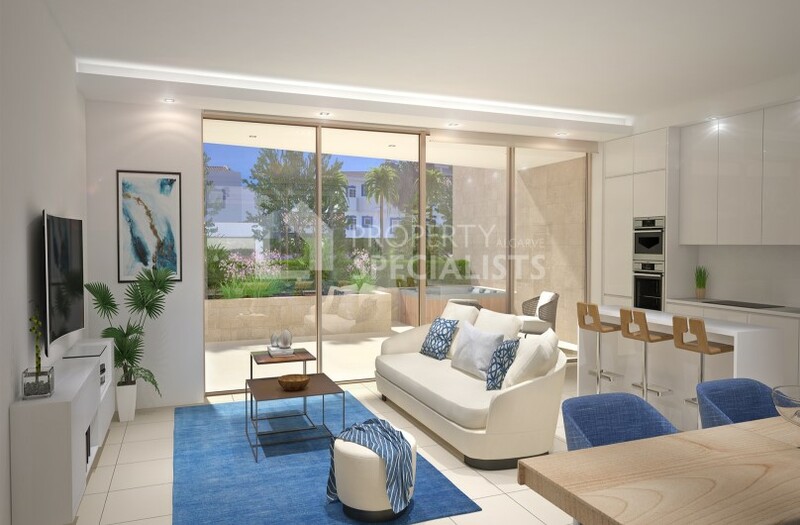 Modern 2 bedroom apartments in Lagos, only a short walk to Lagos Marina and Meia Praia beach. With a fully equipped kitchen, built-in wardrobes, stunning swimming pool, private balconies and en-suite master bedroom. 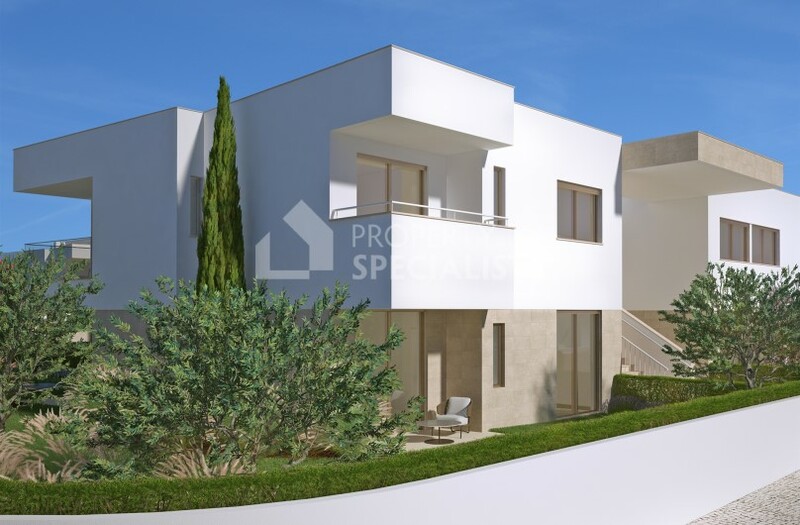 New build 4 bedroom homes for sale with private parking, just a short walk from Ponta da Piedade, Lagos. 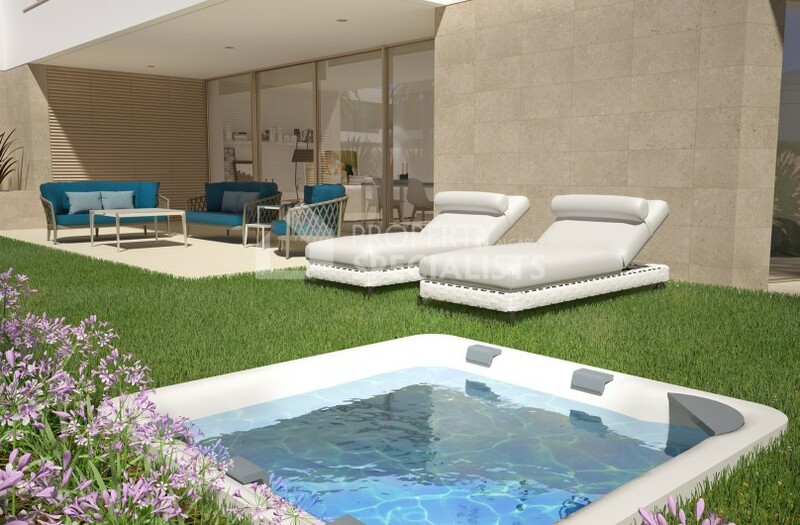 Outdoor pool, air conditioning & heating, central vacuum system and electric blinds.